My mom and I couldn’t do our traditional Christmas Eve/Day hike this year. Fortunately, I had Friday the 23rd off so we decided to go for a hike in our local mountains. Mom was always curious about a trail off of Sunrise Highway, the Pioneer Mail Trail. I had never been there before either so I agreed to explore. The weather forecast showed high winds and sunny clear skies. Yes, it was indeed windy when we stepped out of the car at the Pioneer Mail parking lot. The temperatures were in the mid-40s but with the strong winds, my face was freezing. We quickly started on the trail to warm up. 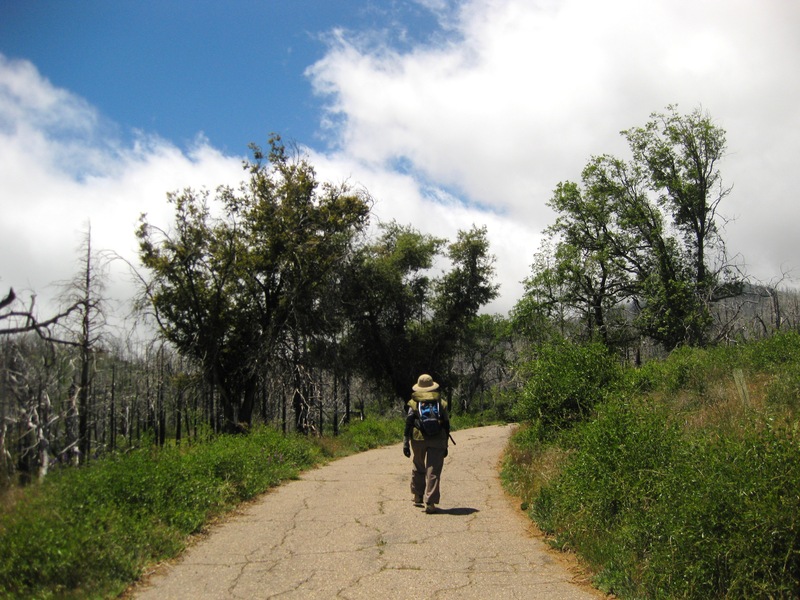 The trail hugs the edge of the Laguna Mountains and is part of the Pacific Crest Trail. 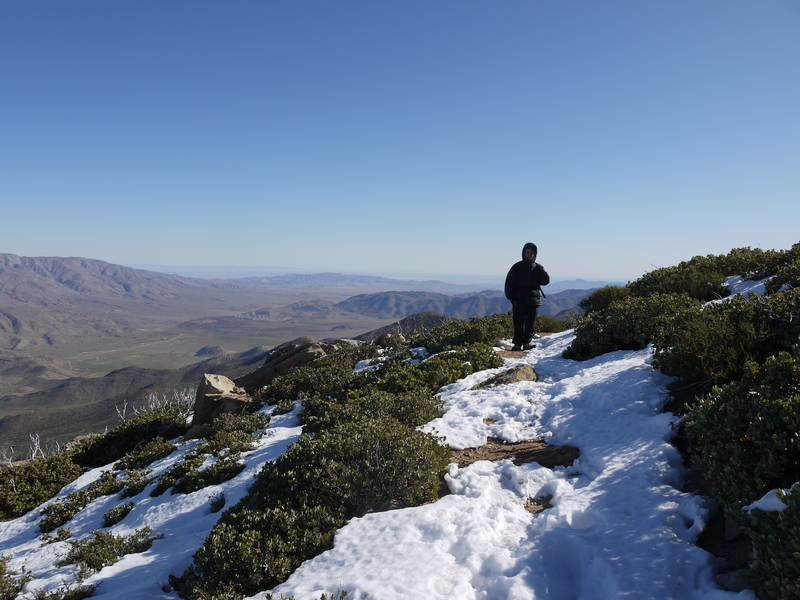 One can see the desert below and Garnet Peak to the south. There was still some snow on the chaparral-lined trail. After about 1.5 miles, we stopped for a snack. The trail is fairly easy and repetitive. 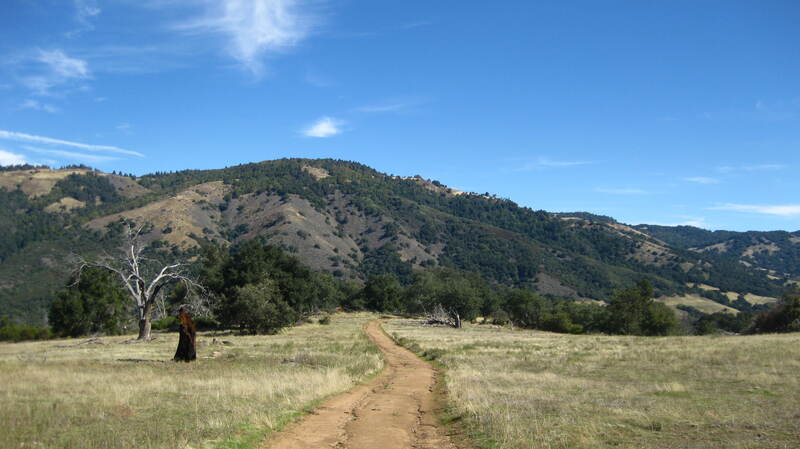 I suggested we head back to the car and go do another trail, perhaps somewhere near Julian. My mom agreed. Once we were back in the car we drove north on Sunrise Highway and passed the town of Julian. 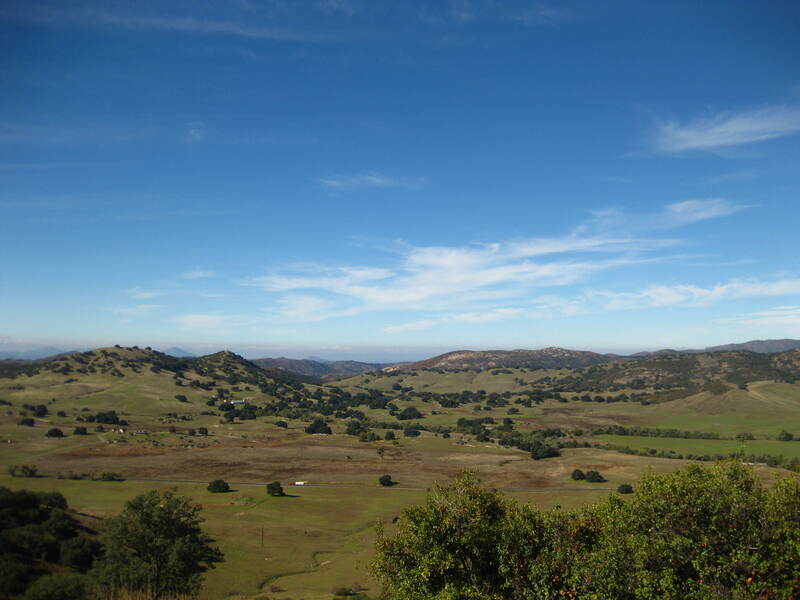 I decided on going to Santa Ysabel Open Space Preserve, the east end. We usually start from the west end, but it had been a few years since we started from the east end. The east end is a lot more scenic. And wouldn’t you know? No strong winds and we didn’t have to wear down jackets! The area was beautiful! The sycamore trees still had their leaves and the bright sun created magnificent effects through the tunnel of oak trees! 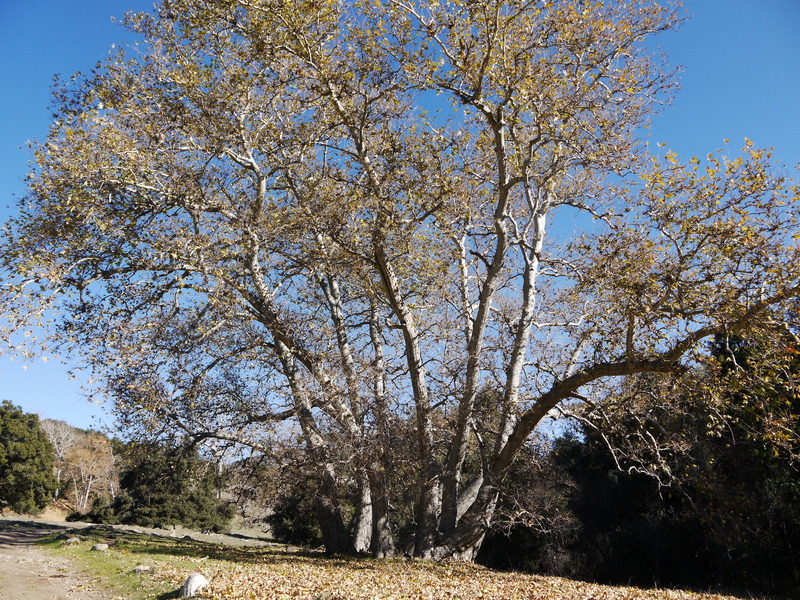 I will never tire of Santa Ysabel. 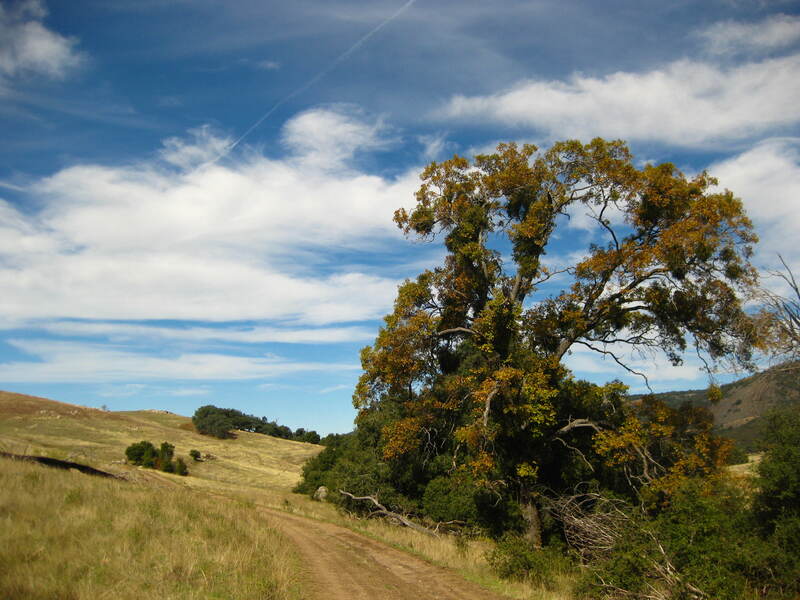 I love the rolling hills, the grassland, and the huge trees. Being there was the best Christmas present by far. After 3.5 miles on the trail, we headed back to the lot happy to have ended our day there. As a side note, the town of Julian is known for its pies. It’s also known for its hard cider. 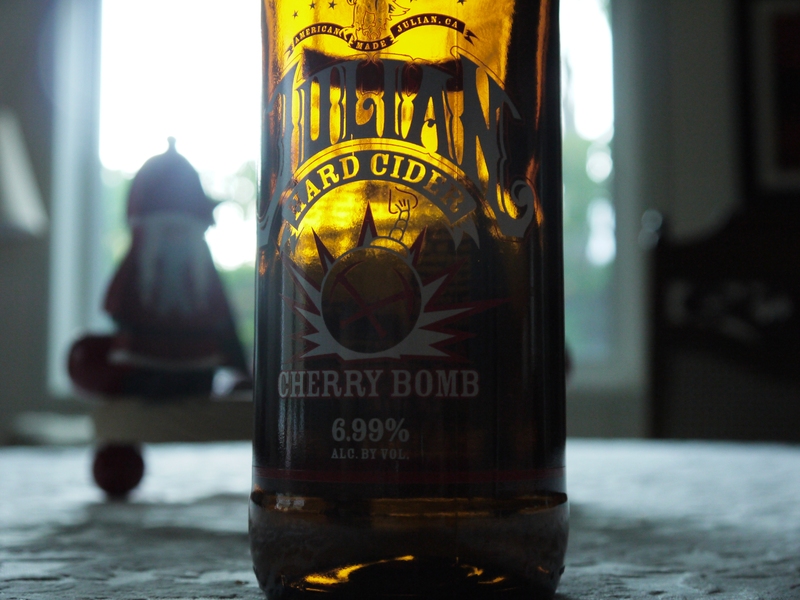 I had picked up a cherry version of cider from the Julian Hard Cider company a few days ago at my local beverage store. It only seemed appropriate to enjoy it that day since we had passed through Julian. The cherry isn’t too prominent, but I noticed it more towards the end of consumption. Perhaps the flavor settles most at the bottom of the bottle. In any case, I would drink it again. Oh, and you should try the regular hard cider as well. (I know, I haven’t posted anything in a month). Realizing that our summer hiking trips were fast approaching, we decided to do a conditioning hike. Last weekend we went up Mt. Woodson from the east entrance. 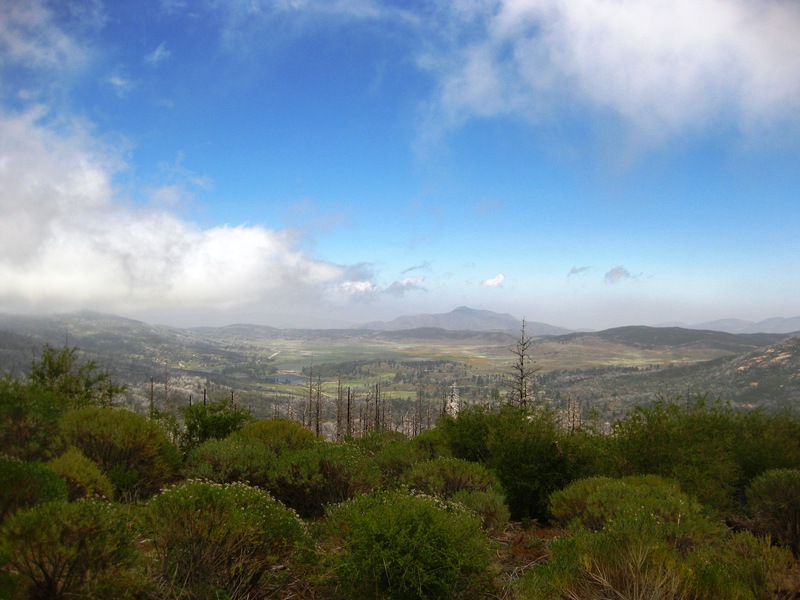 So Saturday I chose a hike my mother hadn’t done yet, the hike up to Cuyamaca Peak. 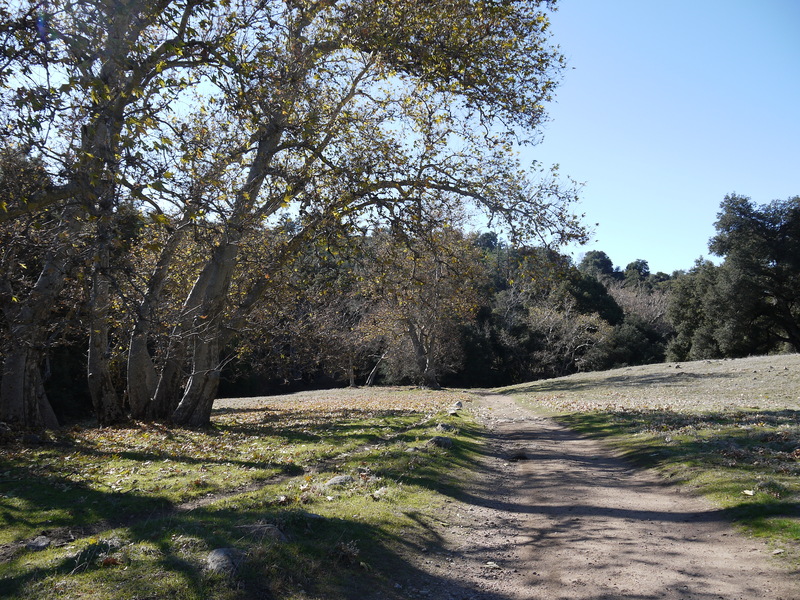 The trail is accessible from the Paso Picacho Campground in Cuyamaca Rancho State Park. We arrived to the lot around 11:30am and paid the $8 fee. Many families were camping and exploring the area. It was a rather windy day and I’m glad we brought extra layers and gloves. The trail up to the peak is a paved fire road, like the route up to Mt. Woodson. It’s about 3.5 miles one way with an elevation gain of 1,500ft. It was a beautiful day with clouds quickly rolling in and out. And the views of the park were breathtaking. 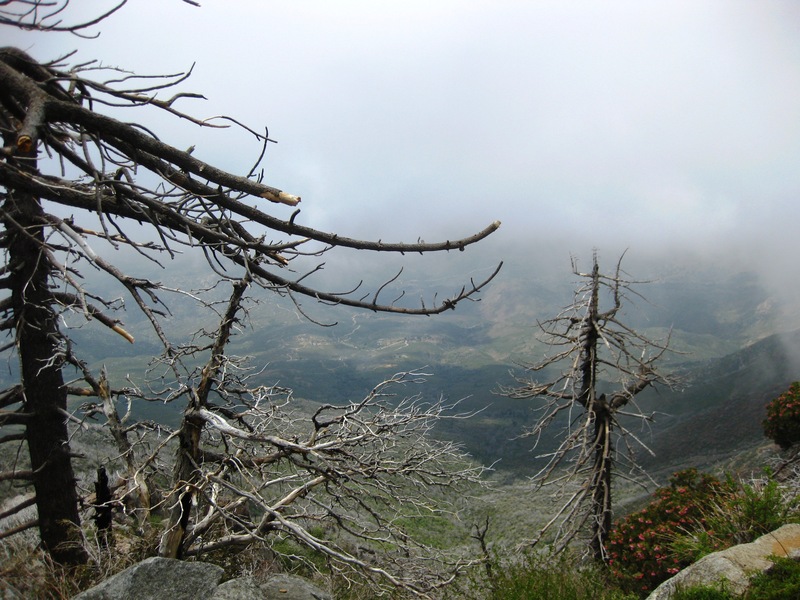 We passed several families and hikers on the way up, but we had the peak to ourselves. From the summit we couldn’t see much towards the west. We rested for a bit, had a snack, and then headed back down. Great short hike for a morning or afternoon!